There were a total of 5 spots created for Bayer Mexico, under my direction. 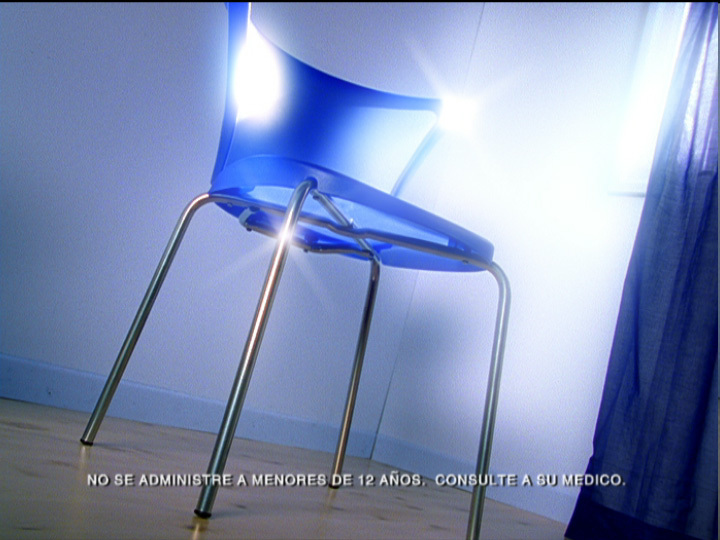 The advertising agency was BBDO Mexico and I had the pleasure of working with creative director Carl Jones. All of the spots called for live action integration, so there was a fair amount of shooting done for these jobs, also under my supervision. The live action shooting was conducted by “Generator” in Toronto, under the direction of George Morita, also a pleasure to work with. The sound mix was conducted by Clive Barker at “Louder” in Toronto. I’m quite pleased with how the spots turned out, and this is a result of having extremely talented people to work with. Alkaseltzer “Termite” and “Clam” also won a couple of awards. (Please see resume section for more info). All spots were animated using Softimage 3.8, rendered with Mental Ray and composited with Discreet products. The motion blur pass was done with a post-render custom plugin (written by Colin Withers) which was much faster than Mental Ray’s. 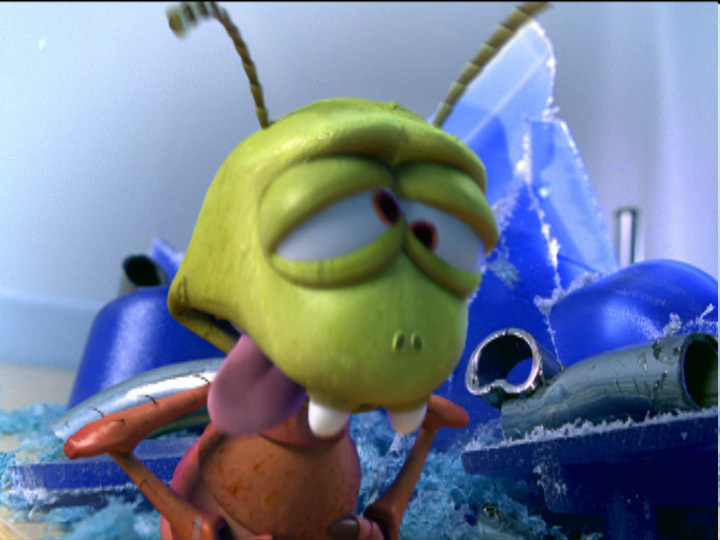 The last spot, Alkaseltzer “Termite”, was rendered in Mental Ray using global illumination to achieve the photoreal look. This is one of my favorite spots. The character turned out exactly how I had envisioned it, the set design works great with the color scheme, and the lighting and rendering make the character seem as if it’s really there. In order to make sure this system would actually work, several in-studio tests were first conducted and filmed so that there were no surprises during the day of the shoot. At another point in the spot, the termite eats through a blue plastic chair. I wanted the pieces to go flying everywhere so we bought the chairs, cut some into pieces, and shredded others. We then built some models from them, and animated them being thrown about in a large tornado. Next, we shot some blue colored plastic pieces falling like snow, which we composited into the scene during which the termite becomes sick. Finally, in the last scene we see the product on a wooden table; the termite eats a circle around it, and the product falls through the hole creating a big cloud of dust. This rig was shot in the same manner as the sawdust cutting through the table, but the dust cloud was shot separately and later composited in, for greater control. This spot was modeled and animated with Softimage, rendered with Mental Ray’s “Final Gathering”, and composited with Discreet’s Inferno. Animated by Richard Rosenman, Brian Huo, Livio Passera, and Sean Montgomery.